This is a guest post by Mustapha Issa, Field Manager and MAST Coordinator and Gilead Mushaija, GIS Database Specialist, both from DAI’s Feed the Future Land Tenure Assistance project. At the recent Practicing the Principles for Digital Development event on October 12 in Dar es Salaam, Tanzania, 80 participants from organizations including DAI, the Ministry of Works, Transport, and Communications, and private organizations from Ethiopia, Kenya, Malawi, Rwanda, Tanzania, and Uganda attended. 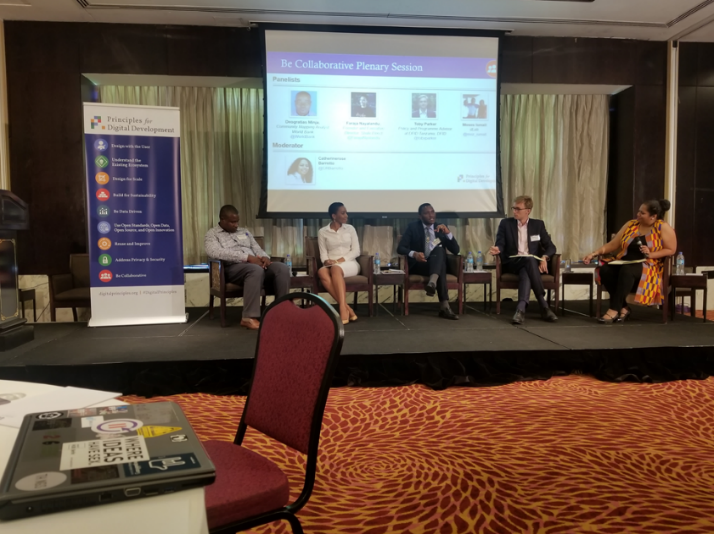 The Digital Impact Alliance (DIAL) and the Human Development Innovation Fund Tanzania (HDIF-UKAid) stewarded the event and were joined by leading organizations in endorsing the Digital Principles. DAI is a signatory to the Principles. Participants discussed the challenges and successes of collaborating across the private and public sectors. Special emphasis was placed on collaboration between donors, partners, and government institutions to meet the desired goals as one team. Be Collaborative Plenary Session panelists. This session included insightful lightning talks on how organizations design with the user in mind. It is crucial to design projects with the users before implementing programs so as to address the known challenges. Practitioners must incorporate multiple user types and stakeholders in each phase of the project life cycle. Examples discussed included land formalization projects such as DAI’s USAID-funded Land Tenure Assistance project where information is being captured using mobile phones. Another example was the World Bank’s mapping projects that use Humanitarian Open Street Map. Our key takeaway was to embrace an iterative process that allows for incorporating feedback and adaptation. Understanding the existing ecosystem is critical to inform how digital development programs are designed, implemented, and monitored. To understand stakeholders in digital ecosystems, we need to engage with target users to ensure that the proposed digital initiative aligns with the existing technological, legal, and regulatory policies. Involvement of community members, local, and central government, donors and other implementing organizations is equally crucial, as is continued monitoring of the ecosystem for changes. What is the Future of Digital Development in East Africa? In Tanzania, internet connectivity is at 40 percent and 80 percent of the population own mobile phones, both promising statistics. The process of moving from paper-based documentation to paperless documentation is ongoing on a fast rate. In the land sector, LTA is a valid example of this initiative of registration of land rights using mobile phones and having the information stored on a centralized database for future use. The scaling up of this project is expected to be adopted in the whole country for registration of land rights in rural areas at very reasonable costs. Participants discussing strategies for the future of Digital Development in East Africa. 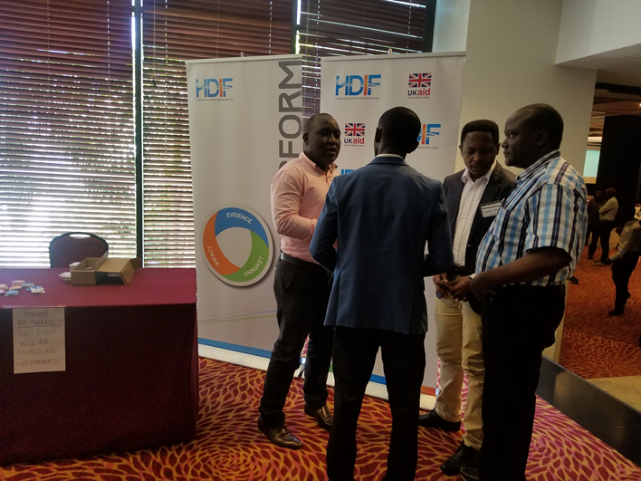 The Digital Principles forum was launched to keep conversation going after the event; you can also log on to connect with fellow digital development practitioners through this interactive platform.